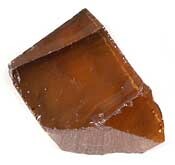 Golden Citrine color: $0.06/ct. SALE: $0.045/carat! CZ-GoldenCit1 Measures approximately 53.0 x 25.8 x 14.1mm. CZ-GoldenCit2 Triangular shape measures approximately 35.3 x 29.0 x 17.0mm. CZ-GoldenCit3 Measures approximately 35.3 x 15.4 x 17.0mm. CZ-GoldenCit4 Measures approximately 27.7 x 24.9 x 22.2mm. CZ-GoldenCit5 Measures approximately 32.0 x 23.5 x 21.65mm. CZ-GoldenCit6 Measures approximately 28.3 x 23.5 x 16.8mm. CZ-GoldenCit7 Measures approximately 28.3 x 21.0 x 16.0mm. CZ-GoldenCit8 Measures approximately 25.0 x 19.5 x 22.0mm. CZ-GoldenCit9 Measures approximately 41.8 x 14.3 x 11.8mm. CZ-GoldenCit10 Measures approximately 22.2 x 19.6 x 16.6mm. 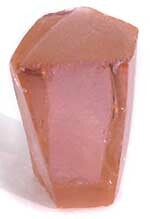 Golden Topaz color. 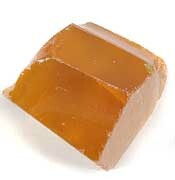 (also described by others as Peach Champagne): $0.06/ct. CZ-GTopaz1 Measures approximately 22.6 x 19.0 x 16.3mm. CZ-GTopaz2 Measures approximately 23.8 x 19.8 x 19.9mm. CZ-GTopaz3 Measures approximately 24.7 x 20.7 x 19.6mm. CZ-GTopaz4 Measures approximately 36.0 x 18.2 x 14.5mm. CZ-GTopaz5 Measures approximately 27.1 x 13.6 x 11.3mm. CZ-GTopaz6 Measures approximately 32.0 x 13.1 x 10.5mm. CZ-LightPink2 Measures approximately 29.0 x 29.0 x 20.0 to 16.5mm. CZ-LightPink3 Measures approximately 26.0 x 25.0 x 17.0mm. CZ-LightPink4 Measures approximately 28.1 x 24.0 x 22.0mm. CZ-LightPink5 Measures approximately 30.5 x 30.0 to 18.0 x 25.0 to 12.0mm. CZ-LightPink6 Measures approximately 21.5 x 20.0 x 16.0mm. CZ-LightPink7 Measures approximately 28.0 x 28.0 x 18.5mm. CZ-Pink1 Measures approximately 27.0 x 23.5 x 12.5mm. CZ-Pink2 Measures approximately 28.5 x 21.4 x 14.4mm. CZ-Pink3 Measures approximately 29.8 x 19.2 x 13.3mm. CZ-Pink4 Measures approximately 26.3 x 19.3 x 17.3mm. CZ-Pink5 Measures approximately 24.4 x 18.1 x 19.4 to 8.8mm. CZ-Pink6 Measures approximately 27.2 x 17.4 x 15.5mm. 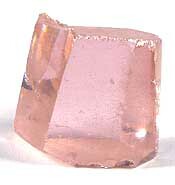 CZ-Pink7 Measures approximately 26.9 x 22.3 to 14.2 x 9.7mm. CZ-Pink8 Measures approximately 29.4 x 19.2 to 13.5 x 13.9 to 7.8mm. Dark Green color $0.15ct. SALE: $0.12/carat! Best suited for smaller stones (10mm and less). CZ-DkGreen1 Two-piece parcel measures approximately 18.7 x 14.9 x 8.5mm. 94.20 and 22.4 x 9.7 x 5.9mm. CZ-DkGreen2 Measures approximately 19.1 x 14.3 x 14.2mm. CZ-DkGreen3 Two piece parcel measures approximately 14.7 x 13.1 x 12.8mm, and 18.5 x 9.5 x 9.4mm. CZ-DkGreen4 Measures approximately 16.0 x 15.0 x 14.8mm. CZ-DkGreen5 Measures approximately 15.6 x 17.1 x 10.9mm. CZ-DkGreen6 Measures approximately 18.9 x 16.8 x 13.3mm. CZ-DkGreen7 Measures approximately 19.5 x 14.1 x 21.2mm. CZ-DkGreen8 Measures approximately 18.2 x 13.2 x 14.0mm. CZ-DkGreen9 Two piece parcel measures approximately 21.3 x 14.1 x 11.0mm, and 17.8 x 12.5 x 12.1mm. CZ-DkGreen10 Two piece parcel measures approximately 27.8 x 10.9 x 8.5mm, and 13.2 x 13.2 x 11.2mm. Emerald Medium Green color $0.15ct. CZ-MedGreen1 Measures approximately 22.6 x 14.0 x 12.3mm. CZ-MedGreen2 Two piece parcel measures approximately 18.0 x 11.5 x 11.3mm, and 19.8 x 10.5 x 8.1mm. CZ-MedGreen3 Two piece parcel measures approximately 18.9 x 10.4 x 7.7mm, and 11.8 x 11.2 x 11.0mm. CZ-MedGreen4 Two piece parcel measures approximately 17.0 x 12.6 x 7.4mm, and 25.5 x 10.3 x 7.8mm. CZ-MedGreen5 Two piece parcel measures approximately 16.5 x 11.5 x 10.3mm, and 18.0 x 12.5 x 7.8mm. CZ-MedGreen6 Two piece parcel measures approximately 15.6 x 10.2 x 10.0mm, and a triangular shape at 22.7 x 18.5 x 6.8mm. CZ-MedGreen7 Two piece parcel measures approximately 14.5 x 11.5 x 10.8mm, and 12.5 x 11.8 x 8.9mm. CZ-MedGreen8 Two piece parcel measures approximately 14.4 x 13.0 x 12.3mm, and 18.3 x 14.4 x 8.3mm. CZ-MedGreen9 Two piece parcel measures approximately 17.2 x 14.9 x 10.4mm, and 21.6 x 10.8 x 7.4mm. CZ-MedGreen10 Measures approximately 17.5 x 15.3 x 9.5mm. Color Change Type "C". Reddish-Orange under incandescent light and Brownish-Olive Green under fluorescent light. Awesome under mixed lighting! $0.18/ct. Color under fluorescent CZ-CC-C1 Measures approximately 20.5 x 20.4 x 14.2mm. CZ-CC-C2 Measures approximately 25.0 x 21.0 x 14.5mm. CZ-CC-C3 Measures approximately 34.5 x 22.5 x 13.0mm. CZ-CC-C4 Triangular shape measures approximately 44.0 x 39.5 x 21.0mm. CZ-CC-C5 Measures approximately 32.5 x 22.5 x 17.0mm. CZ-CC-C6 Measures approximately 33.5 x 18.0 x 16.5mm. CZ-CC-C7 Measures approximately 20.3 x 17.0 x 17.9 to 11.7mm. CZ-CC-C8 Measures approximately 22.0 x 19.5 x 14.0mm. CZ-CC-C9 Measures approximately 34.5 x 21.0 x 13.0mm. CZ-CC-C10 Measures approximately 34.5 x 21.0 x 15.0mm.